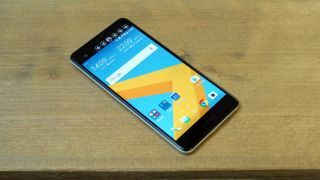 If you were hoping HTC would bring back the 3.5mm headphone jack after dropping it from the HTC U Ultra, you might be out of luck, as the latest rumors suggest the HTC 11 won’t have one either. According to LlabTooFer, the HTC 11 (or the HTC Ocean as they call it) won’t have a headphone jack, but will have IP57 certification, which means it can be submerged up to 1 meter deep in water for 30 minutes and has limited dust protection. Notably that’s less protection than the likes of the IP68 certified Samsung Galaxy S8 has, which is dust tight and can be submerged 1.5 meters, but it’s a lot better than nothing. LlabTooFer adds that the HTC 11 will launch in both single and dual-SIM versions, though we wouldn’t expect to see the dual-SIM model in all markets. None of this is particularly surprising, given that HTC has already ditched the headphone jack on one recent flagship, and has never fully embraced dust and water resistance on its phones. But it could leave the handset – which may launch under the name HTC U – fighting an uphill struggle to find buyers, when some rivals offer both a headphone port and superior water and dust resistance. The HTC U might have at least one trick up its sleeve though, with earlier rumors pointing to a ‘Sense Touch’ feature, which could give it a pressure-sensitive frame that responds to being squeezed. We may know exactly what’s true and what’s not soon, as some rumors suggest the phone will be announced before the end of the month.